For the second day under Cookies, I decided to try these Digestive Biscuits that have been on my to do list for such a long time. So finally I got around baking these and almost had to wait for the next 24 hours to enjoy these properly. 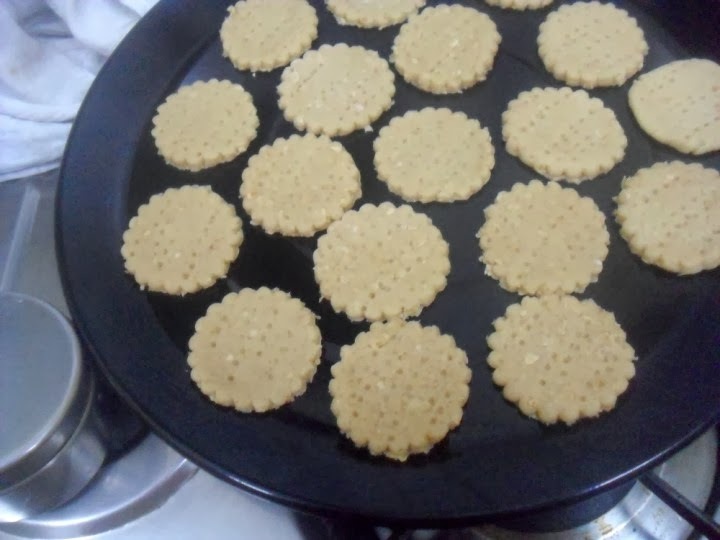 I had made them as I was cooking dinner and somehow didn't have time to click pictures. I thought I would take next day morning before leaving to work. As expected I couldn't and so had to slash it inside to save some for the clicks. 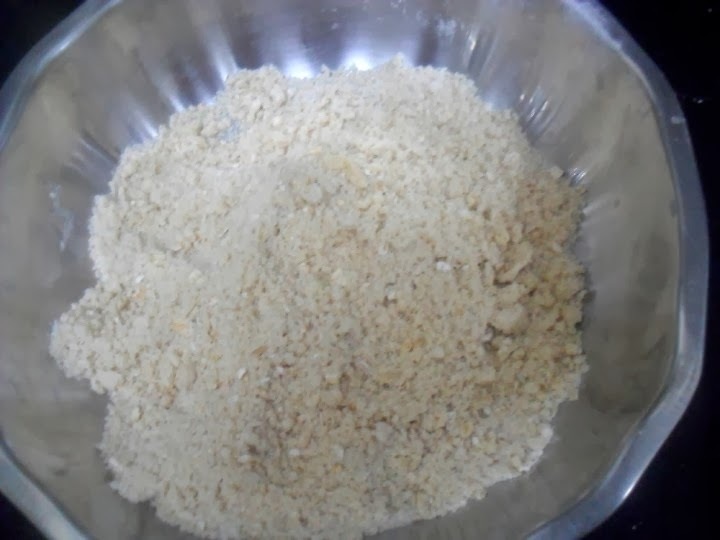 The texture has turned out very well and it has the right amount of crispiness and sweet. Konda liked munching these and the boys refused to even touch. Well that was expected and I didn't insist they even try. 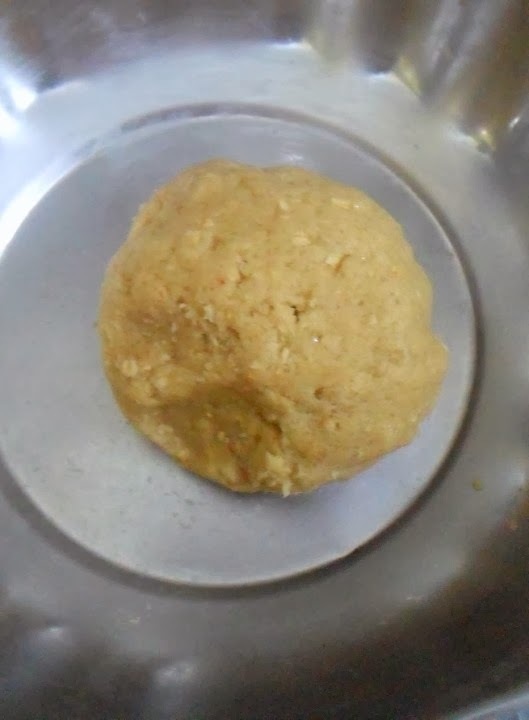 I have huge pile of cookies recipes to try, some of the most fetching pictures show that they have eggs in them. 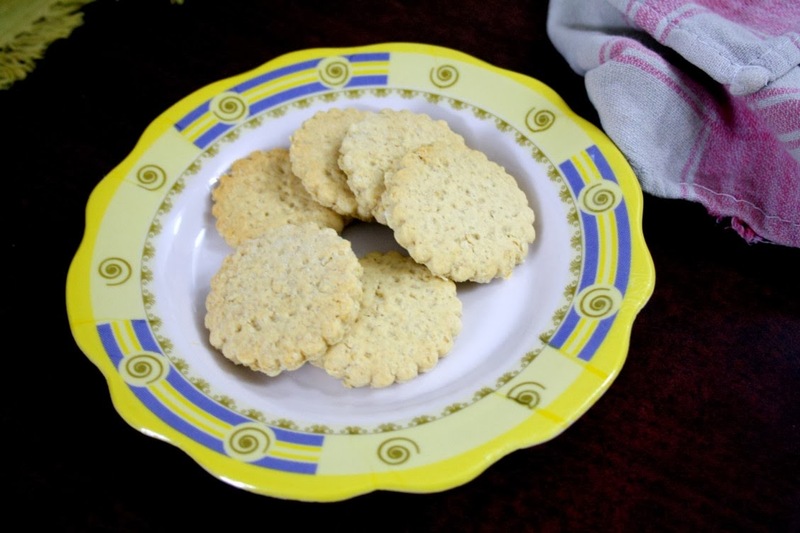 Even the othe Digestive Biscuit Recipes look way beyond prettiness. However I am very happy with the result of this measurement and the way these turned out. 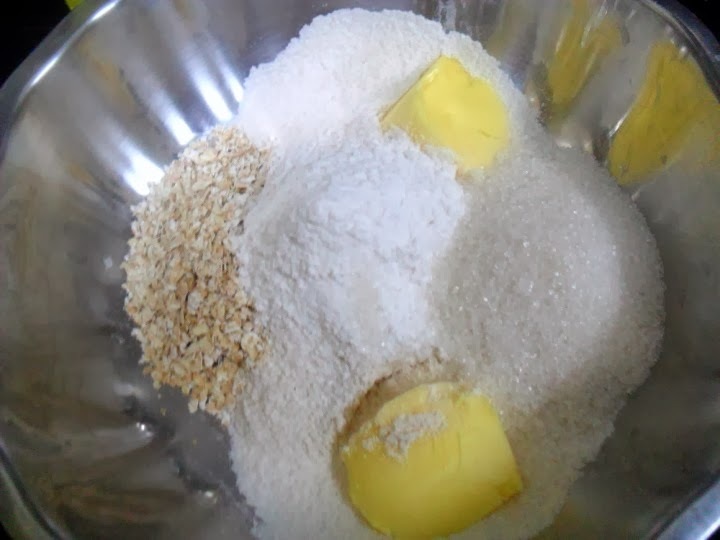 Sift the flours together with baking powder. Add the oats and sugar, combine everything. Finally add the butter and rub everything together. Finally add milk as required to make a soft pliable dough. Your dough should be smooth without any cracks. More little more milk if you find cracks. Dust with flour and roll out a big sheet. 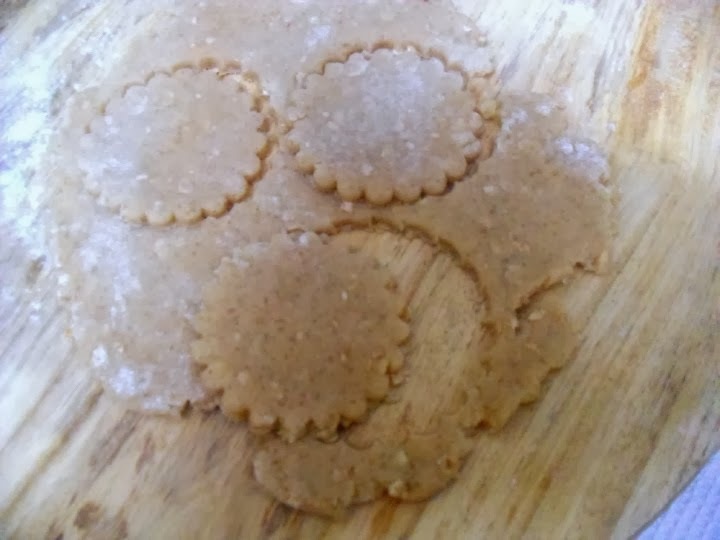 Cut your desired shapes with cookie cutter.Prick the cookies with fork for the cookies not to puff up. Line these on a baking tray greased with oil or butter paper. Pre heat the oven at 185 C and bake for 20 mins. This should get done by 15 mins, depending on the thickness of your cookie. So watch out from that time. Let it cool and transfer to air tight container. The thickens depends on your choice. If it is very thick, it will take more time to get baked. 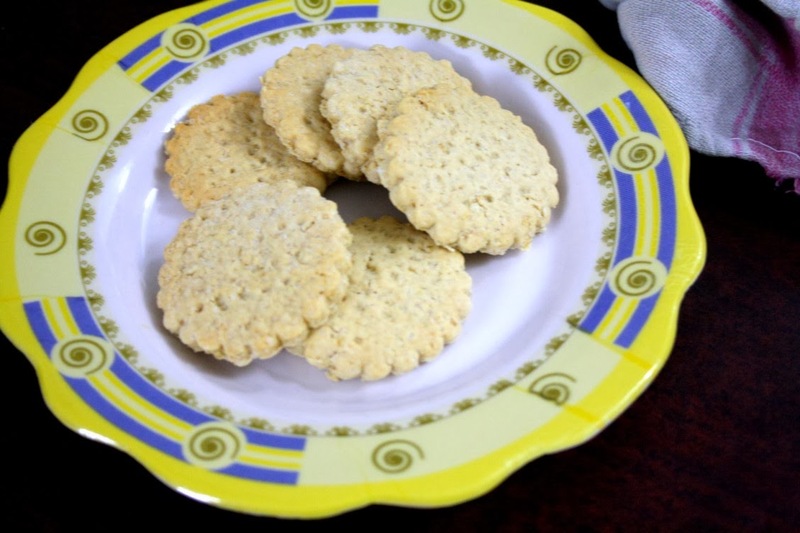 The cookies are mildly sweet for light snacking. With wheat flour and oats, I don't think overly sweetness will suit. 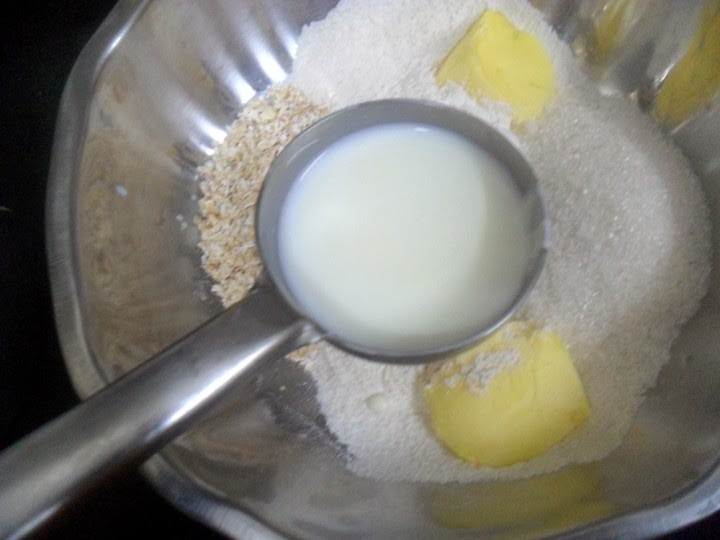 You can also powder the oats, which will give uniform texture. When you add as whole it tends become more chewy after baking. This stays good for more than a week when stored properly.